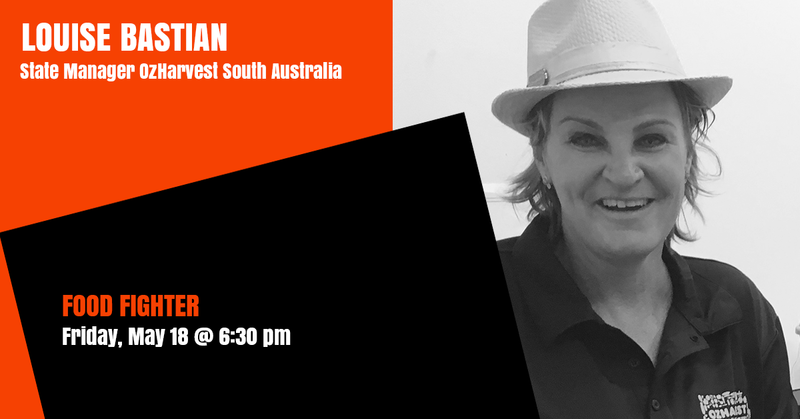 Louise Bastian is the State Manager of OzHarvest SA, where she oversees the day to day operations of food rescue, as well as the team of staff and volunteers looking after events, volunteer, community and corporate engagement and education programs like Nourish and NEST. OzHarvest is Australia’s leading food rescue organisation, collecting over 100 tonnes of good food every week and delivering it to more than 1300 charities, making a positive impact on the lives of vulnerable men, women and children. With a depth of experiences across the community sector, including Leukaemia Foundation, Victim Support Service and Novita, Louise brings energy and passion to her work at OzHarvest. She has a very strong social justice conscience, is passionate about equality and the sustainability of our planet, and she loves to cook, which are key ingredients to fight food waste! Louise has a background as a professional swimmer for Australia, has worked as a police officer, and studied Commercial Art and Graphic Design, Psychology and Law.